It’s fair to say, there can be many contributing factors to your hormone problems. Perhaps you have a diagnosed issue like Poly Cystic Ovarianne Syndrome (PCOS) or Endometriosis, or maybe you suffer from Pre Menstrual Tension (PMS) or ovulation pain. At the core of any gynaecological issue generally lies your very own hormone imbalance, be it big or small. But one of the contributing factors to your unhappy hormones may lie within your personal care products. Cosmetics, hair care and body products play a huge role to your hormone health, because our conventional products most often contact endocrine disrupting chemicals (EDC’s) and it is these very ingredients that interfere with your own normal hormone imbalance. It’s a good time to point out that your skin is indeed your largest organ, and whilst it may be big ol’ barrier between you and your internal organs, it absorbs up to 80% of what you apply topically. This is then directly absorbed into your blood stream. Effectively, this is like a slip stream to your Endocrine System. EDC’s are directly associated with fertility issues, certain reproductive cancers, thyroid illness, hormone issues like PCOS and Endometriosis as well as issues like ovulation and period pain. These very chemicals have been said to be of significant concern to public health, meaning we have to get smarter if we want to easily improve our health. Whilst topical fixes may be your treatment of choice, it’s important to understand what exactly is in your skin care. Sadly, many products disrupt more than our hormones. Straight up, the microbiome – that is the constellation of life essential bacteria that live in us and on us, can be affected by topical applications. This may not sound like much of an issue, but the microbiome is responsible for around 80% of your immune system and these significant bacteria contain genes themselves which influence our own genes, either for the better or for the worse. Your microbiome in your gut allows you to digest, assimilate and use your food as fuel also. There’s a lot to be said about nurturing healthy flora of the body. If certain strains are missing, our body’s can never effectively get the job done, which over time can cause a host of long standing issues. One of the main ingredients in many conventional products is mineral oil. Mineral oil sadly, is unable to be metabolized by the human body and only adds to the hormone imbalance. What does that mean? It effectively drives your oestrogen to new heights, possibly landing you with a host of issues including weight gain, anxiety, ovulation pain, fertility challenges, painful periods, acne and more. The researchers removed fat specimens from 142 women who were undergoing C-sections, and collected milk samples from them post-delivery. Scarily, they found that both the fat and the milk were contaminated with mineral oil saturated hydrocarbons. You might wonder just how mineral oil has made its way into our cosmetics. Well, it’s cheep and that’s where it ends. It is of no benefit to the skin what so ever, it provides no nourishment either. But the impact it may have on your health and your hormones can last a lifetime if we don’t choose wisely. Mineral oil is also occlusive, meaning you’re skin doesn’t breath well when it is applied. This can be a disaster especially if you have issues with congestion and acne! So how do you know? Always check out the first few ingredients on your favourite products since they are listed in order of quantity. If mineral oil is at the top of the list it may be time to rethink if it’s serving you and your better self. But I know why you really tuned in…. You want a non hormone disrupting solution to your scars and strechmarks? HECK YEAH! My friends at P’ure Papaya Care have just released the most incredible product, that not only looks after you and your hormones but goes to work on your stretch marks and scars WITHOUT mineral oil (and you know, it’s the main ingredient in the leading over the counter scar treatment.. just saying). Other scar treatments may make bold claims – since the rubbing action of the skin alone stimulates healing you too might feel that they work well. What this means is, you may rub anything on your body and you’ll get some type of healing response simply because you’re stimulating the skin. But at P’ure, they’ve taken it one step further to combine incredible ingredients like Gotu Kola (and a few other goodies) that help to redistribute collagen, nourish the skin and promote health – treating new and even old scars! Best of all I have tubes of Renew to GIVEAWAY! To be in the running to get your hands on one of the six tubes up for grabs, simply head on over to my Instagram or Facebook pages to learn more and enter. 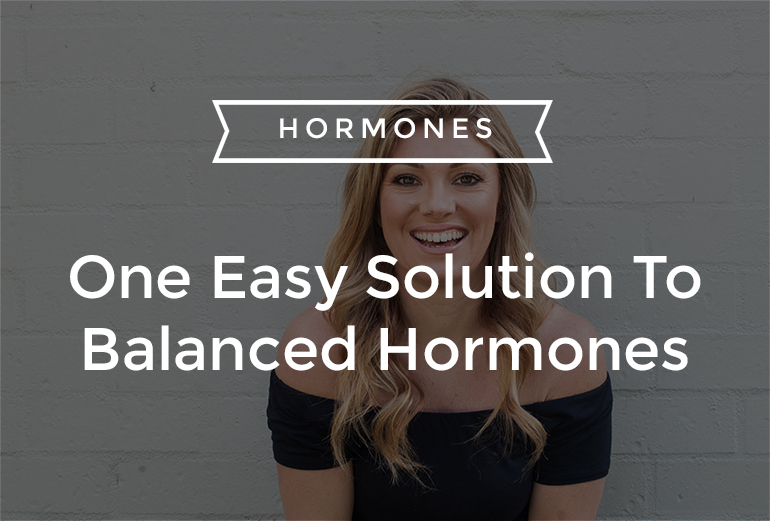 Truth of the matter – it’s essential for your hormone health that you know what you’re putting both on and in your body. Whilst you may not be a compound pharmacist, understanding a few key questionable ingredients will no doubt have you clued up to the what’s what of your skincare regime. Choose wisely and be rewarded accordingly. What an awesome article Dr K. Such great information. Australia has no idea what they have; a true gem. Thanks Dr T. So kind.